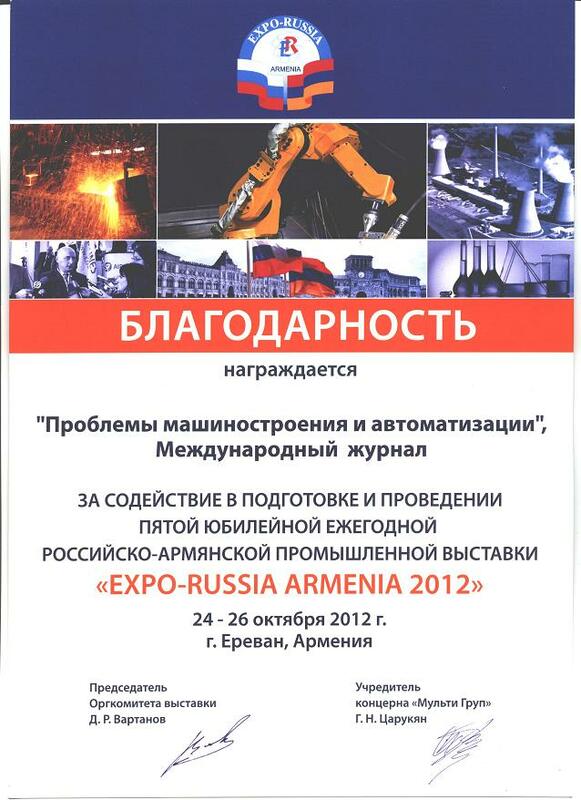 Journal “ENGINEERING AND AUTOMATION PROBLEMS” is an international periodical devoted to scientific and technical. 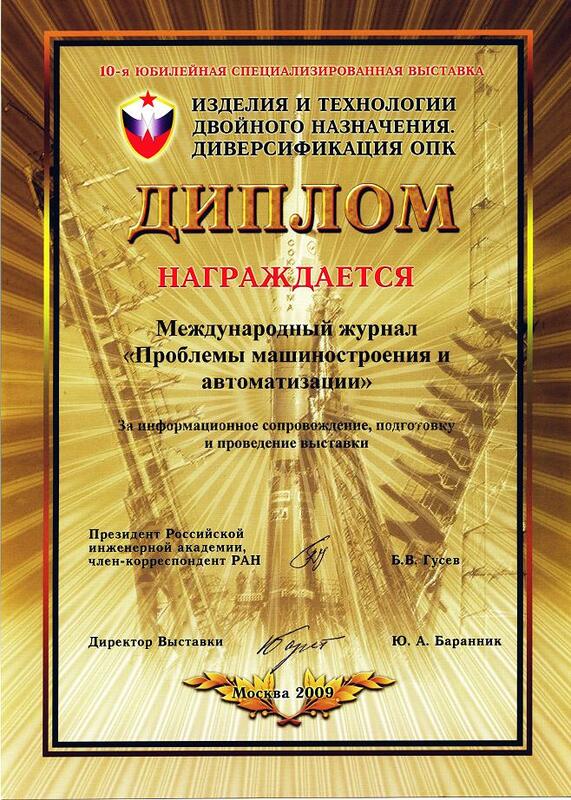 Scientific consulting by Blagonravov Mechanical Engineering Research Institute of RAS. Registration certificate ПИ № 77-16852 from 11/20/2003 by to the Ministry of Russian Federation for press, tele-radio broadcasting and means of mass communications. Editor-in-chief – academician Ganiev R.F. (Russia). The members of editorial board are well-known scientists and experts from Belarus, Bulgaria, Great Britain, Hungary, Germany, India, Spain, China, Poland, Russia, Romania, Serbia, USA, Ukraine and Sweden. The journal publishes actual works (reviews, articles etc.) 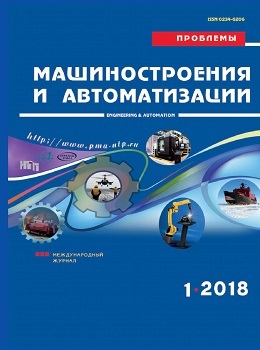 on the results of scientific researches and practical development in Russia and abroad on engineering and machine building on advanced experience, new materials and progressive technologies, including the problems of economy, as well as management and automation, innovations and investments in mechanical engineering. All scientific articles are reviewed. The edition purpose is the assistance to exchange of experience for scientists and experts from the different countries and to establishment of mutual contacts. The journal is intended for a wide range of scientists, researchers, as well as postgraduates and students. 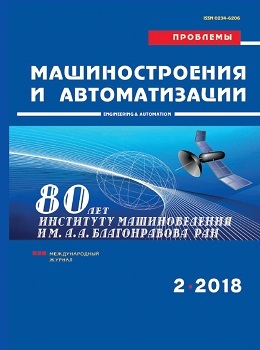 The journal "ENGINEERING AND AUTOMATION PROBLEMS" is included in the List of leading reviewed scientific magazines and editions for publishing the basic scientific results of the doctoral (candidate's) theses. The journal is reviewed and included in the databases of VINITI. Data on the journal is published annually in the international reference system for periodicals and serials “Ulrich’s Periodicals Directory”. 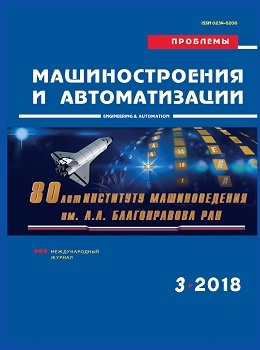 The journal "ENGINEERING AND AUTOMATION PROBLEMS" is included in Russian Science Citation Index (RSCI). 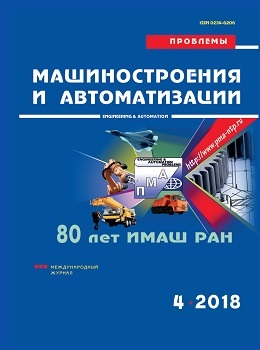 The journal "ENGINEERING AND AUTOMATION PROBLEMS" is the winner of scientific and technical projects of competition and grants of Moscow (2005). 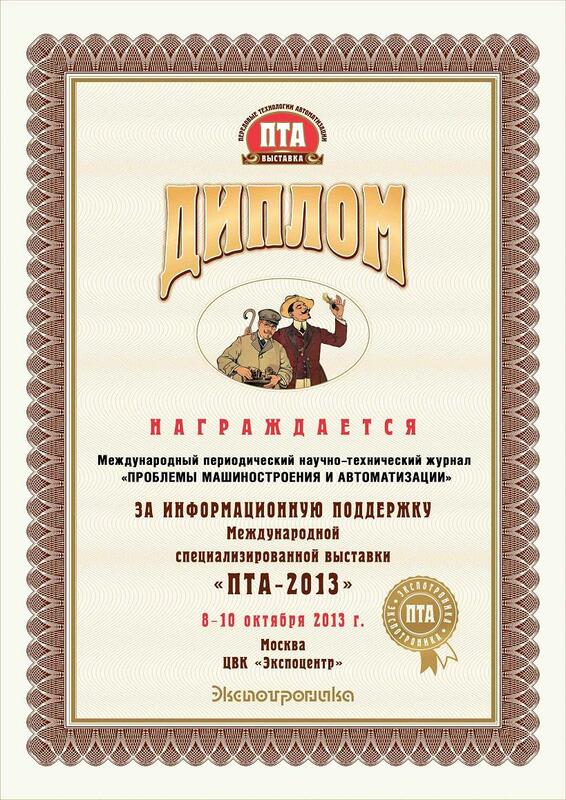 The journal has been repeatedly awarded diplomas of various exhibitions for its informational provision. The journal is issued both in print and electronic version. The electronic version of the journal can be found on website Scientific electronic library. Ethics of the scientific publication is a pledge of quality improvement of scientific papers, and successful development of collaboration with the authors also. 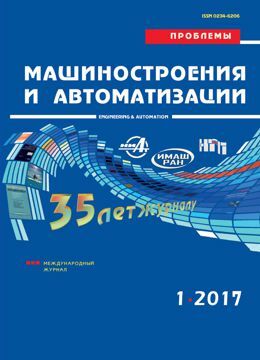 The journal “Engineering and Automation Problems” keeps up to the ethical standards accepted by the international scientific community. The magazine is responsible for conformity of published works to required high standards.